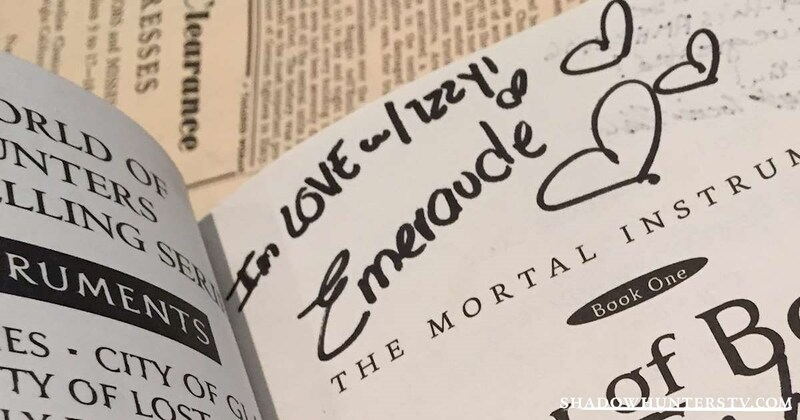 [EXCLUSIVE] Take a Look at The Signatures of the Cast! 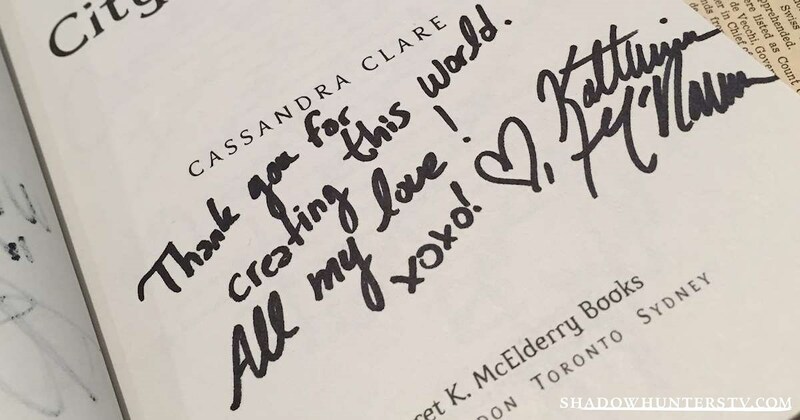 Remember when Cassandra Clare visited the Shadowhunters set a few weeks back? 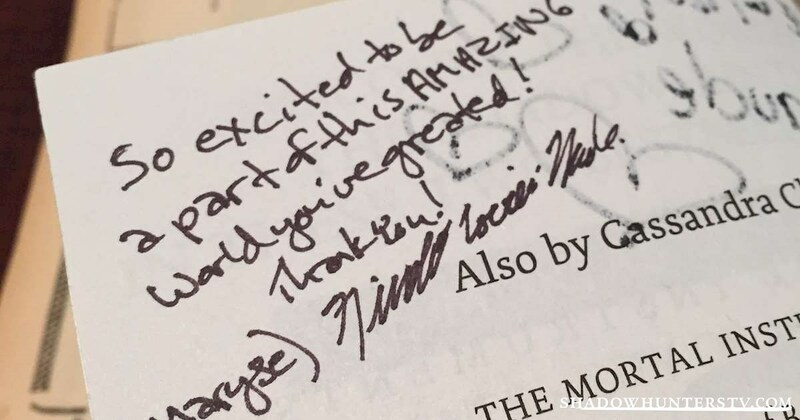 Turns out, a certain copy of City of Bones got a few signatures. Read on to get a sneak peek at what the cast had to say in these never-before-seen photos! Dominic Sherwood, Matthew Daddario and Kaitlyn Leeb all rolled into one! 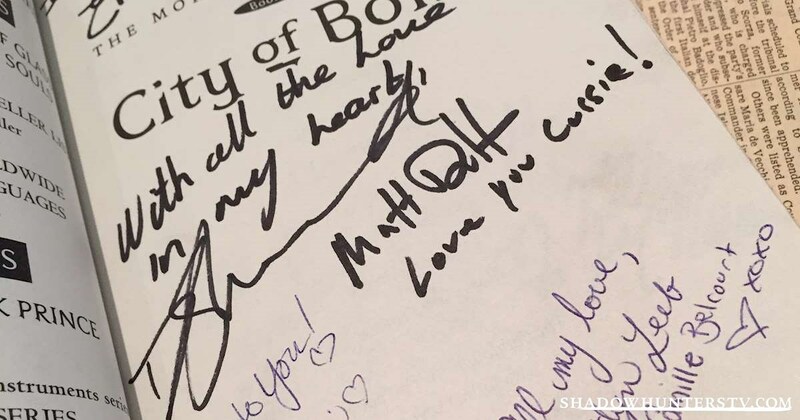 Ahhh, we SO wish that copy of City of Bones was on our bookshelf! 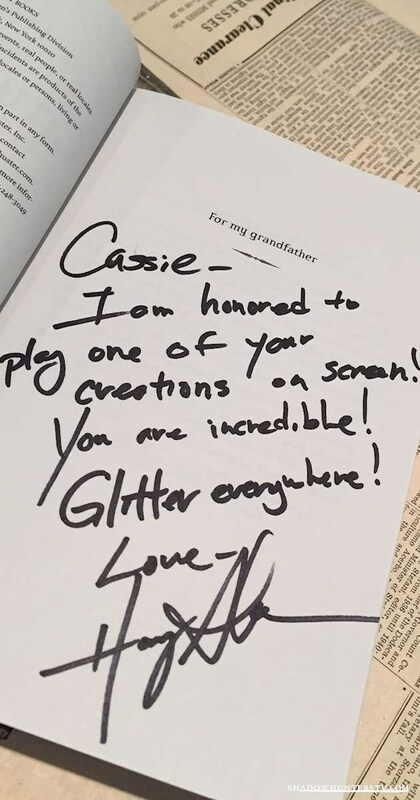 What would your message to Cassie say? Let us know in the comments box below!